Facebook This link will open in a new window. Twitter This link will open in a new window. LinkedIn This link will open in a new window. YouTube This link will open in a new window. Share on social networks: Share on facebookThis link will open in a new window. Share on twitterThis link will open in a new window. Share on linked inThis link will open in a new window. 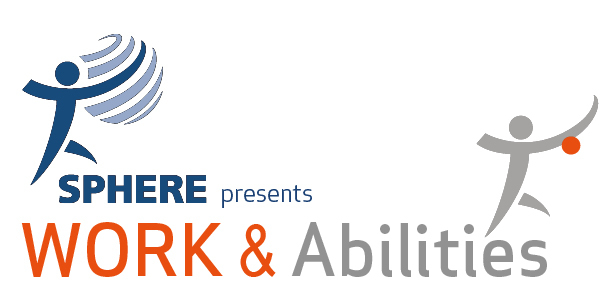 What is WORK and Abilities? Through the WORK and Abilities newsletter, keep up with news from all over Canada. Through this mean, share articles and events of interest with professionals who want to make a difference, just like you. Subscribe here! Your active involvement allows you to put your professional expertise forward. Share or comment articles on the WORK and Abilities LinkedIn page or WORK and Abilities blog. Through the use of the different platforms and articles available, learn more about the tools and services offered across Canada. Finally, allow customers to benefit, because the ultimate goal is collaborating to provide them with the best possible support. Share the initiative in your professional and social networks! Website by: Agence de communication Bang Marketing This link will open in a new window.